At DeviDoll we've been fans of alternative fabrics from the very start, bamboo among them. But we have noted that man-made (sorry, Harriet Harman, person-made) fabrics - bamboo, lyocell, tencel, PLA etc -- need to be produced sustainably to truly qualify for green status, otherwise, all the chemical byproducts in their production sort of defeats the whole point. 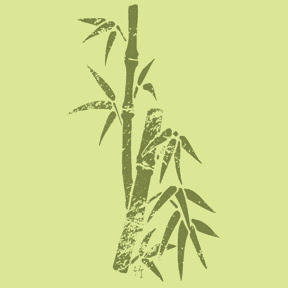 Well, this and several other issues in the 'green-ness' of bamboo are now in the limelight with the the Federal Trade Commission in the US charging 4 companies with making false claims about the how eco bamboo actually is and what positive properties bamboo clothing actually has. Read the whole press release here. The companies have rebutted with their counter-claims and others have joined the fray on both sides. The topic is an important one as almost everyday, bamboo more than any other fabric, is gaining ground as a perfect 'eco' fabric with the same list of benefits repeated. It is relatively cheap, abundantly available from suppliers in China and India not all of whom can be adquately supervised and often reaches garment cutting stage relatively un-policed. So understanding all the claims, separating the wheat from the chaff, is essential. While there is no doubt that bamboo can be a sustainable alternative to conventional fabrics this is not without caveats and to accord it miracle status unthinkingly....well....that's just silly. Believe in bamboo, but not blindly. I'm a bit paranoid about natural stuff, that's why I didnt buy Kuyichi sweater that had some nylon and acrylic in it.. I didnt understand why my favourite brand would use this synthetics? Shoulder your way into the new season!